ï»¿ Lovely bit of Sausage! 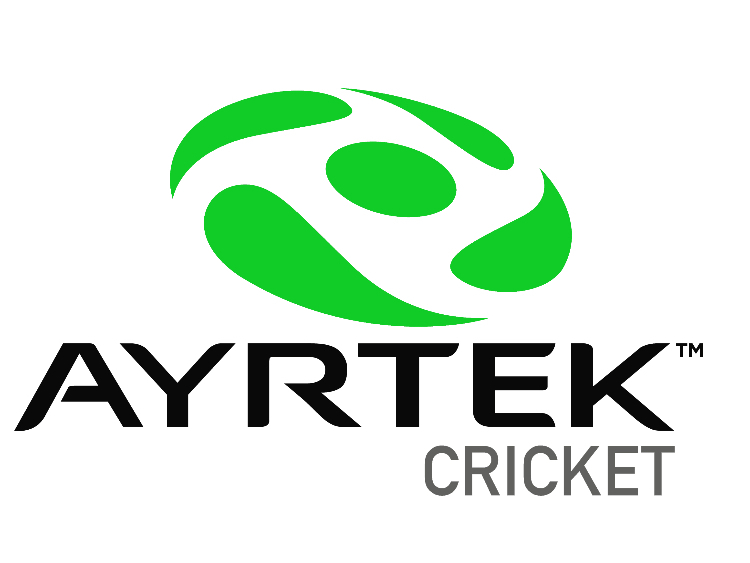 Custom Bats Cricket Forum » Cricket Manufacturers / Brands » Ayrtek Cricket » Lovely bit of Sausage! Not the Cumberland kind....these arrived with the rest of the kit and I've had a few PM's from people asking for a pic of them. Only available in Men's RH or LH I'm afraid as it's the first time I've delved into Sausage shape in a while so want to get some feedback before ending up with lots of paid in stock. Onlyhad small numbers done so just 4 pairs of RH and 2 pairs of LH remain in stock. Re: Lovely bit of Sausage! 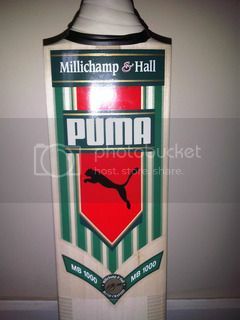 Lovely, where are the bat covers? 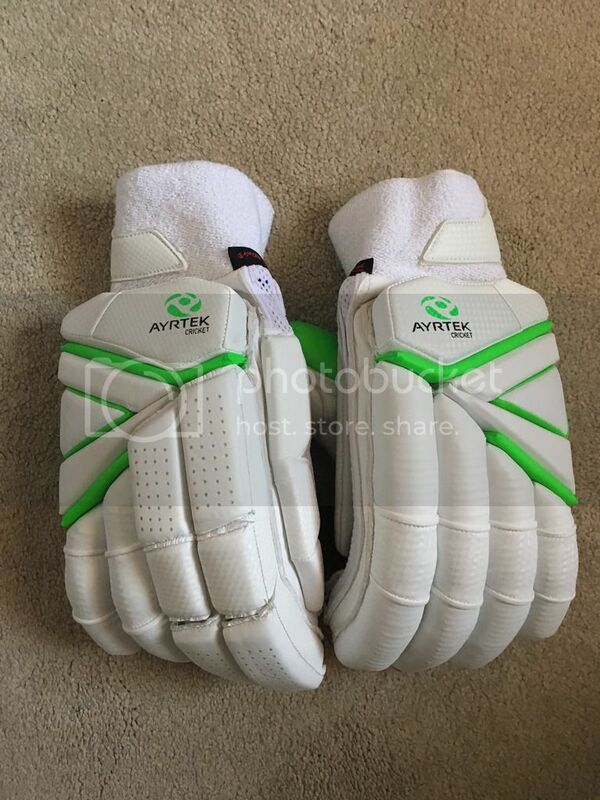 Looking forward to receiving a pair of these along with the shark tooth gloves and a set of pads!! 100% FKW!! Just waiting for UKmail to come and collect them now. Best looking sausage gloves ive seen in ages . I love the dual angles of the triangular splits on the last 3 fingers . They look truely ergonomic. Now , if only i hadn't, quite literally , just bought 20 pairs of gloves from o.l.s I'd be up for some of these . They are here too along with new bat grips, battling my way through packaging up stuff to clear some floor space! 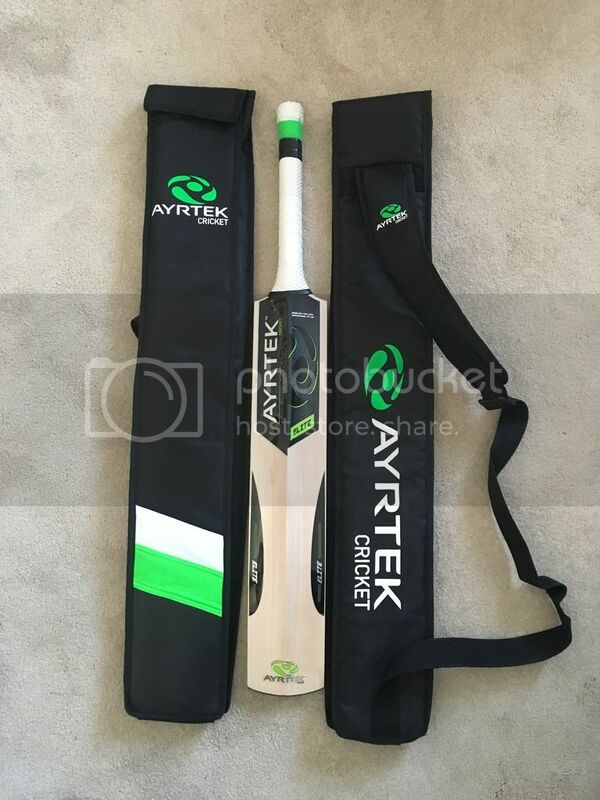 Seriously Tom , you've got some of the best branded kit out there now . Hopefully everyone gets the right kit as got quite confusing today with pads and gloves everywhere. Thanks mate, the usual frustrating delays in getting them in hand but glad they are here now. Page created in 0.45 seconds with 37 queries.